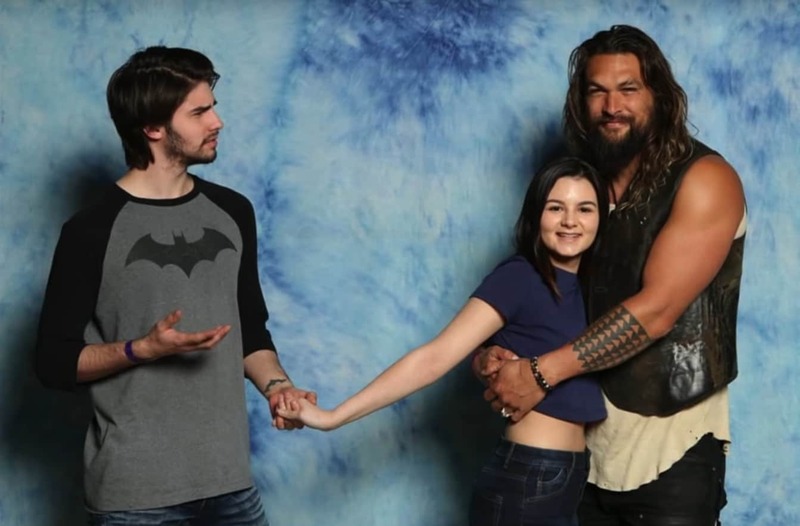 Everyone loves Jason Momoa. Did you see Aquaman? If you don’t think he is the perfect Aquaman, then you’re wrong. He’s also loved for his performances as Khal Drogo in Game of Thrones. However, his acting credits stretch to Baywatch Hawaii, Stargate Atlantis and Conan The Barbarian, and he’s just as good in each of them. Momoa puts his all into every role and has played some iconic characters. Fans across the world would love to meet him, and some lucky few get that chance. What if I was to tell you that on top of all his acting talent, he’s naturally hilarious as well? It’s just not fair sometimes. But, the pop culture legend takes comical photos with his fans. Picture this: a couple walk up to him at a convention, giddy with excitement and ready to meet their hero. But then Aquaman himself shoves the guy out the way and puts his arm around the lady. It would be hard to get mad. Everyone involved takes the joke in good humour, and gets an awesome picture to boot! What more could you want from meeting your hero? 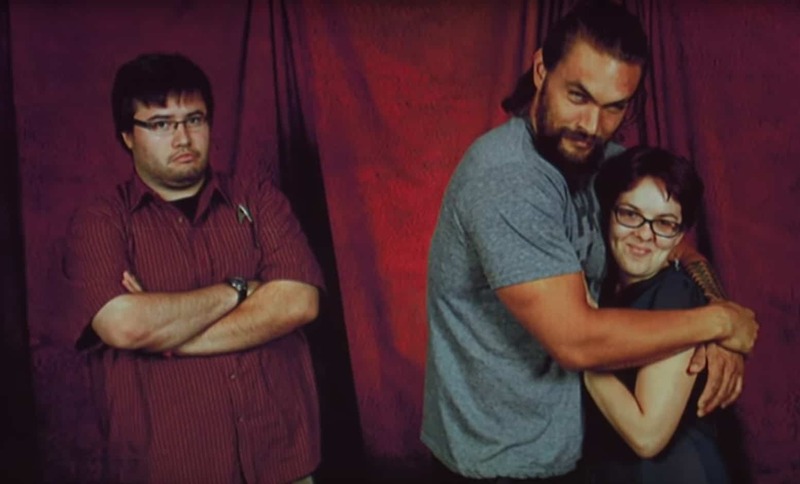 Let’s just hope that Jason Momoa hasn’t actually been stealing people’s girls. Hey, at least he’s not specific about the gender of the relationship he is trying to ruin! 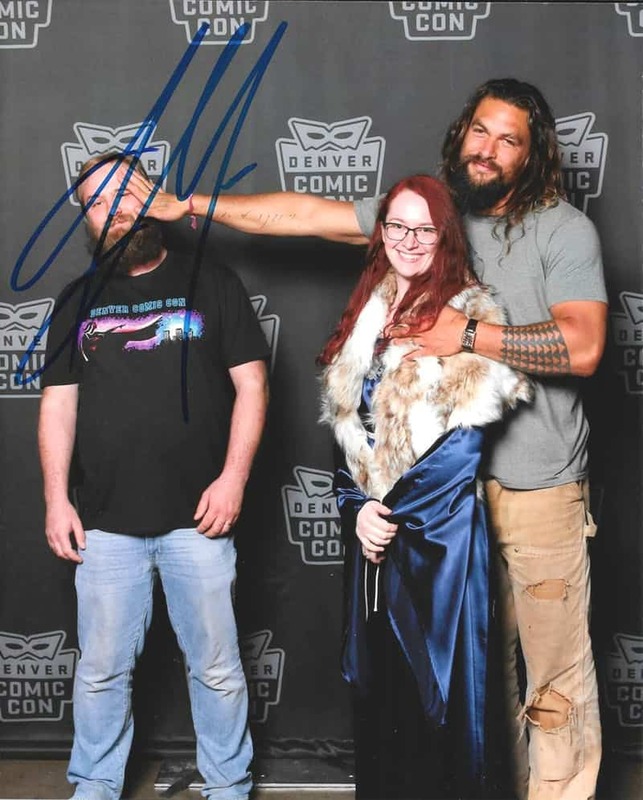 I’m joking of course, but do you think you’d get a hilarious photo with Aquaman like this? Would you want to be hugged or pushed? Let us know in the comments, and share with your family and friends if you laughed! Check out other hilarious stories on Happiest.